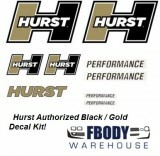 New replacement decal kits bring your car back to life! We offer both the Z28 and Rally Sport kits. We offer decal kits through Phoenix Graphics which are the industry best.